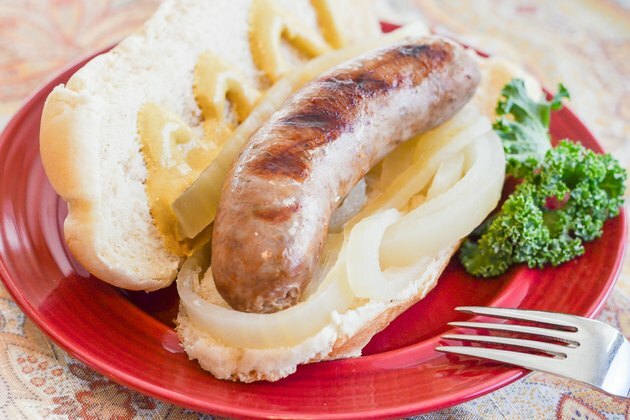 If you're craving a brat during the grilling off-season, you don't have to suffer or over-pay for a restaurant brat. 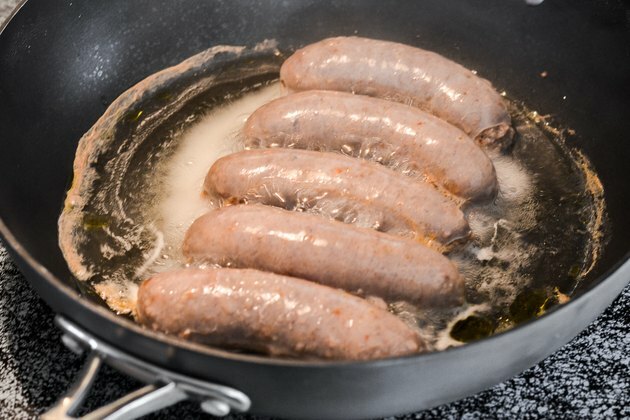 If you have a stove and some brats, you're just a skillet away from the snap of a juicy brat. 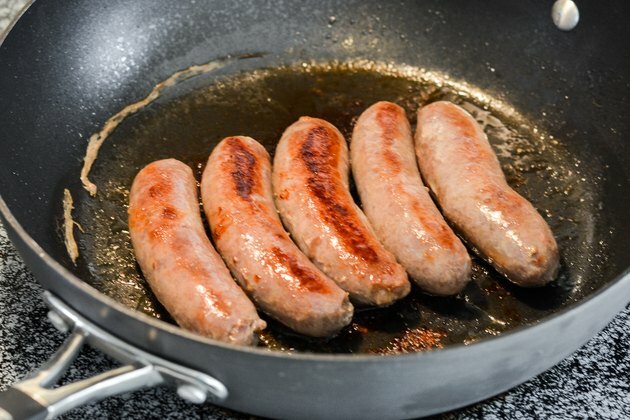 The best way to cook brats over the stove is cook them all the way through with liquid before crisping up the outsides by frying them in oil. This prevents them from burning on the outside while they're still raw on the inside. 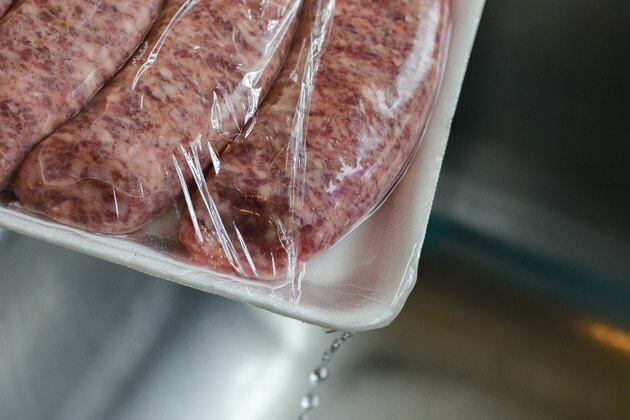 Open the packaging on the brats and drain away any of the juices that may have escaped. 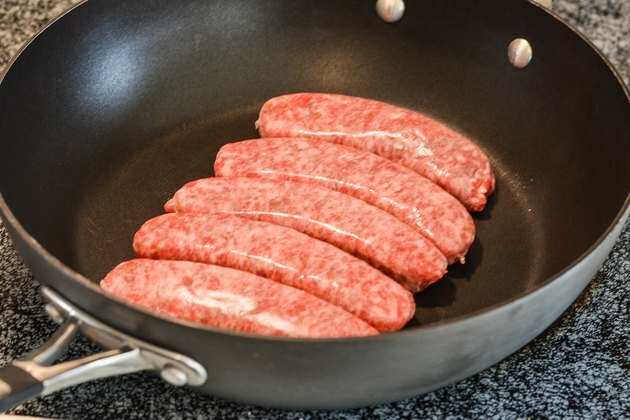 Place the brats in a skillet so each sausage touches the bottom of the pan. 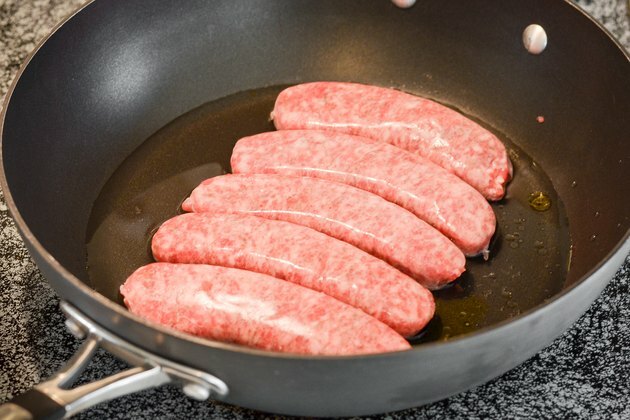 Pour 1 to 2 teaspoons of oil over the top of the brats to help them crisp up after they've simmered. Add water or beer until the liquid covers the bottom half of the brats. 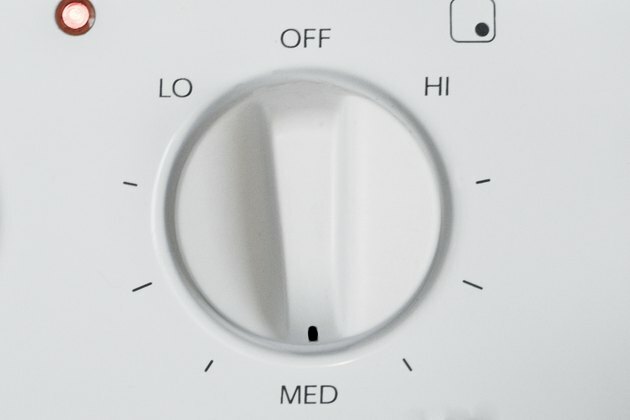 Turn on the heat at medium-high. Bring the liquid in the pan to a fast simmer, but not a full boil. 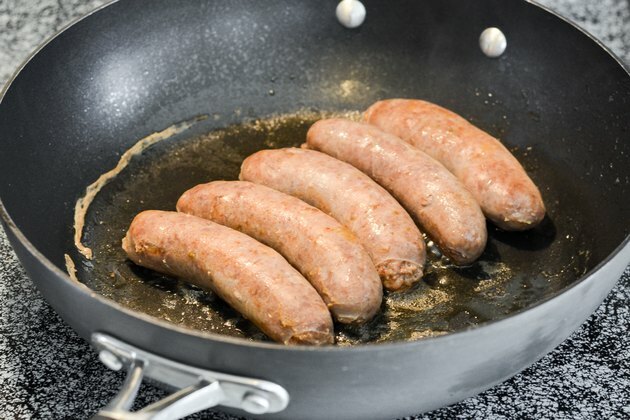 A full boil will break and split the casing and cause the brats to lose their natural juices. 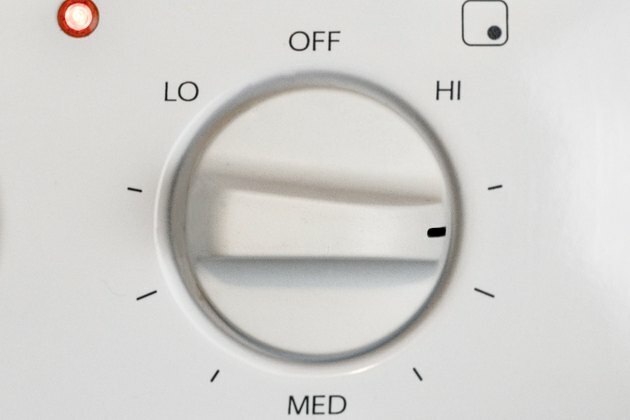 Reduce the heat to medium once the liquid begins simmering. 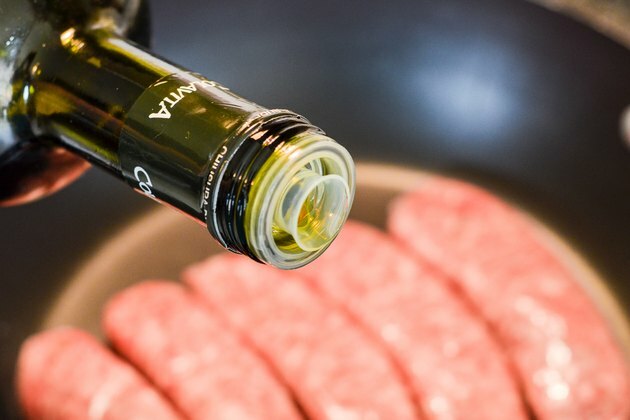 Cook the brats uncovered until the liquid evaporates completely, leaving behind the oil you added at the beginning.